S.O.S. 2019 begins on Monday, July 1! ​beginning July 1st and ending August 9th. Click on the file below for the School's Out Summer Program 2019 Brochure. Or scroll down for more information. * A completed 2019 Health History form (click on Forms tab above to download this form). Get Youth Moving, LLC is proud to present its School’s Out Summer Program for 2019. The S.O.S. program will save your child/ren from the same ‘ol boring summer routine. School’s Out Summer Program will engage your child/ren in various adventurous activities. Mini Mates is a no pressure, fun-filled program in which our youngest participants will engage in a wide variety of age appropriate, theme based activities. Mini Mates will run in conjunction with the Sea Dogs and Middle School Crew Programs. For many children, the program provides a first time opportunity to socialize and learn to function in a group setting. Other children will experience the excitement of renewing friendships, meeting new friends and learning to integrate the two. The Mini Mates children will not go on field trips but will participate in some "in-house" events. Children must be 3 years old by 6/1/19 and must be toilet trained. *Swimming will once again be an option for Mini Mates participants. Swimming is offered on Monday, Tuesday, Wednesday and Friday mornings from 9:15-10:00 am. 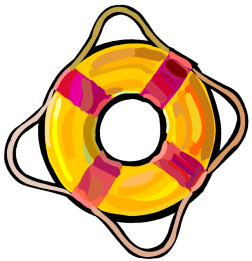 More information about swimming is outlined in the Parent Handbook which is emailed once your child is registered for camp. Week 1 Mon-Wed, July 1-3 $105 "Star Spangled Summer"
Week 2 Mon-Fri, July 8-12 $175 "Disney Days"
Week 3 Mon-Fri, July 15-19 $175 "Amazing Animals"
Week 4 Mon-Fri, July 22-26 $175 "Superheroes"
Week 5 Mon-Fri, July 29-Aug 2 $175 "Sports Spectacular"
Week 6 Mon-Fri, Aug 5-9 $175 "Camp Spirit Week!" Discount: Register for multiple 5 day weeks at $305/wk.